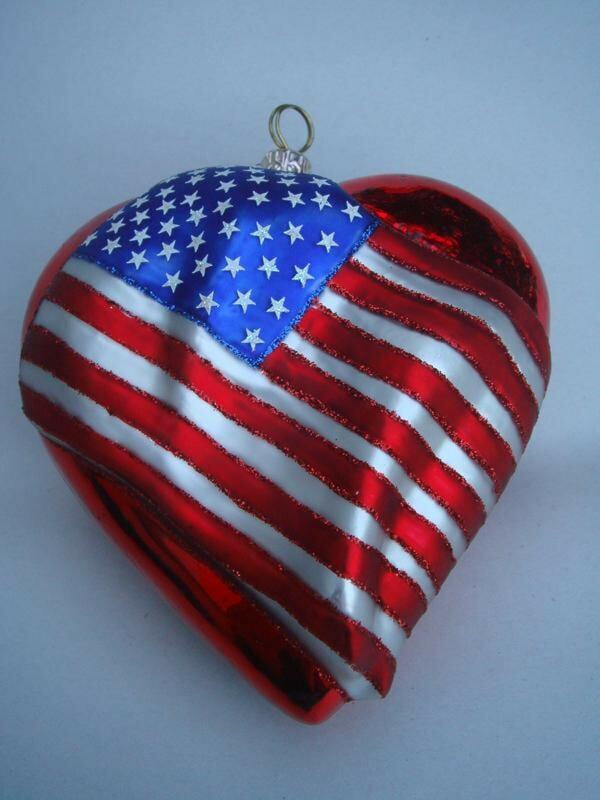 American Flag on Glass Heart Ornament. Molded flag is draped on both sides of ornement. 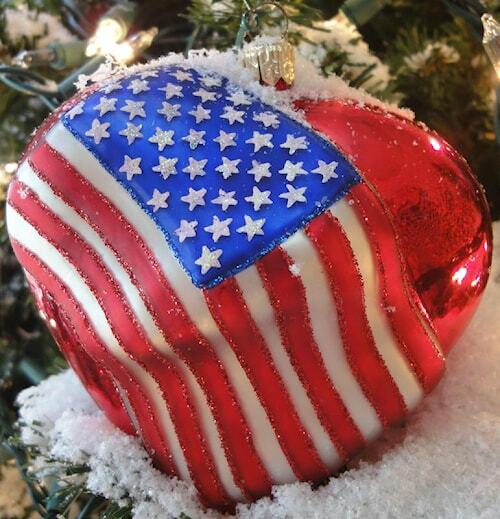 Hand painted and crafted in Poland. 4 inches by 4 inches. Retired; limited availability.